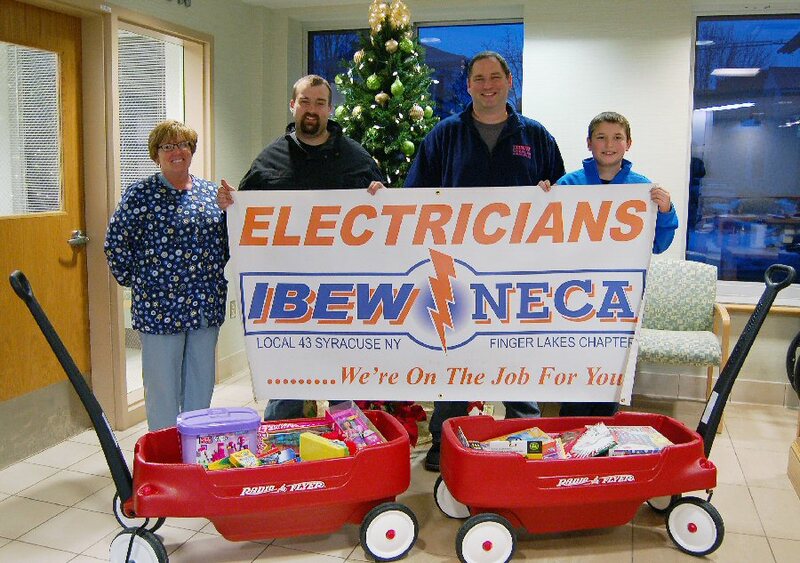 OSWEGO, NY – Members of IBEW Local #43’s apprentice class recently visited Oswego Hospital to deliver two wagons full of toys. The wagons, equipped with seatbelts, will be used to transport young patients before surgery. 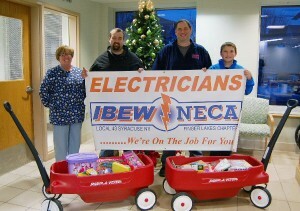 From left are Jane Nalle, RN, clinical nurse manager of the surgery center; Michael Barbeau and Rick Talamo, of the IBEW; along with Christian Talamo, who helped put the wagons together.